Dell has launched a new Smartphone in India,Dell XCD28. Dell XCD28 is available in India now at a Price ofRs.10,000. 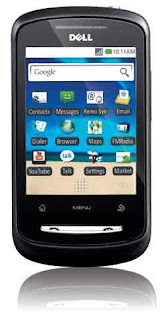 Its features includes Android Operating System, 3G, Wi-Fi, 16GB External memory and much more. With this Dell is slowly now trying to enter the pockets of Indian Customers, The way they have entered into the laptop market.